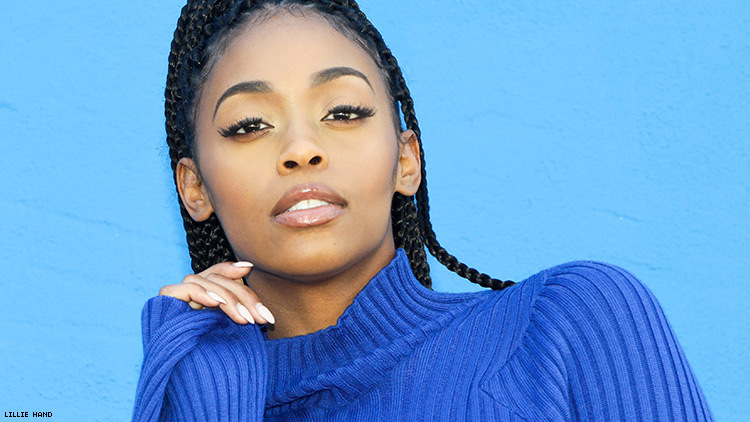 Nafessa Williams learned an important lesson at San Diego Comic-Con last year: Wear flats. “There’s a lot of walking around — a lot of interaction with fans,” the 28-year-old actress says of the annual pop culture extravaganza. That bit of hard-won wisdom will come in handy. As one of the stars of The CW’s Black Lightning, which last year introduced her character Anissa Pierce (a.k.a. Thunder) as television’s first black lesbian superhero, she can count on many more cons in the future. And while strong female “metahumans” like Thunder routinely — some might even say implausibly — fight bad guys in heels, this girl from South Philly who once dreamed of becoming the female Will Smith definitely knows better. But for now, Williams’s biggest focus is savoring her own newfound superpower: the ability to transform Hollywood. Photography by Lillie Hand. Styling By Xavier Lebron. Hair: Natasha Crisp. Makeup: Khamilia Smith.